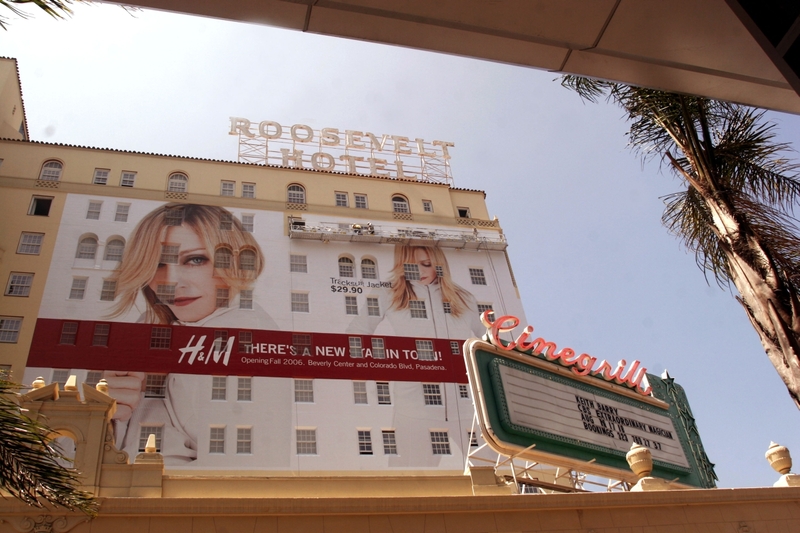 Still a work in progress, here's an image of the H&M billboard going up on the Roosevelt Hotel in Los Angeles. The board is on the southwest corner of Hollywood Boulevard facing the Chinese Theater. The board is promoting the December opening of an H&M store in The Beverly Center.